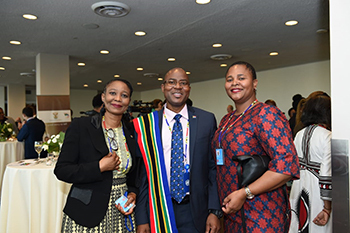 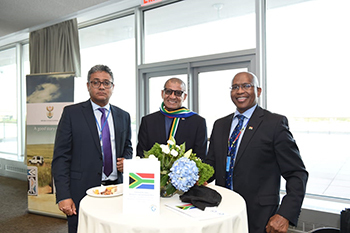 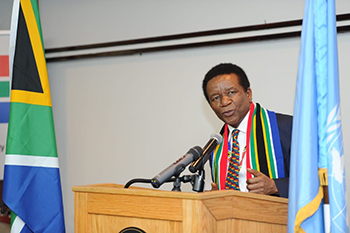 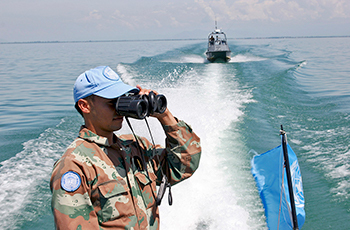 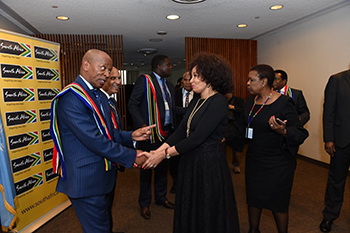 South Africa presented its candidature to fill the non-permanent seat on the United Nations Security Council (UNSC) for the term 2019 – 2020. 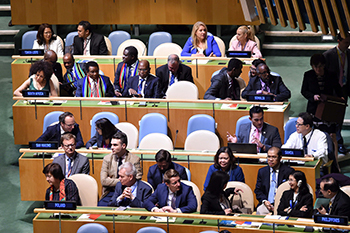 The election for this seat was held during the 72nd Session of the UN General Assembly on 8 June 2018. 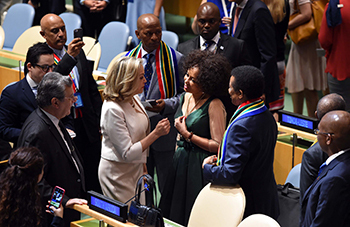 Following a global campaign to garner the widest possible support for our candidacy, South Africa received overwhelming support from UN member states and was elected. 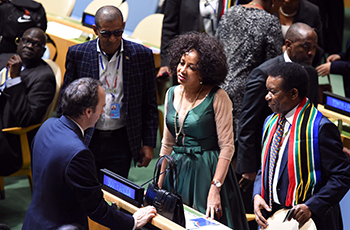 The President of South Africa, Mr Cyril Ramaphosa, as well as the Minister of International Relations and Cooperation, Ms Lindiwe Sisulu, expressed their unreserved gratitude and appreciation to all the UN Member States that voted, the Southern African Development Community (SADC) for the nomination and the continental body, the African Union (AU), that endorsed South Africa’s candidature. 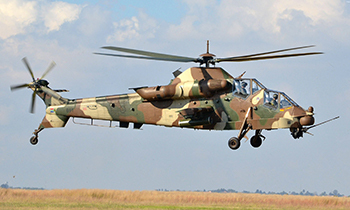 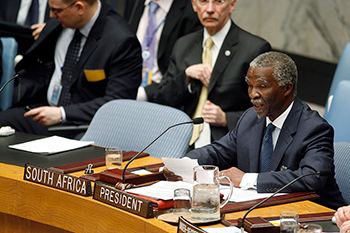 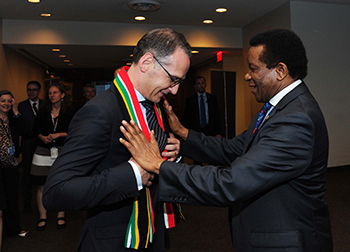 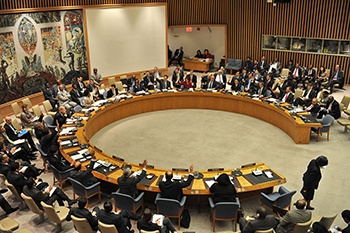 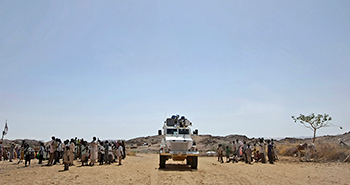 This will be South Africa's third term on the UNSC, having previously served in 2007 – 2008 and 2011 – 2012. 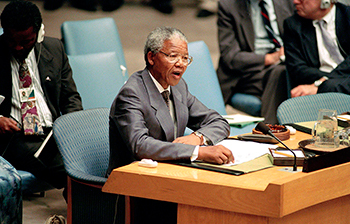 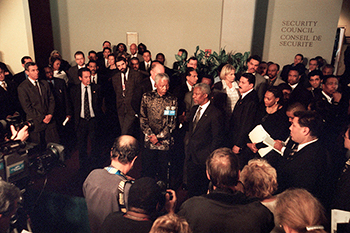 The country’s tenure on the Security Council will be dedicated to the legacy of President Nelson Mandela and his commitment to peace. 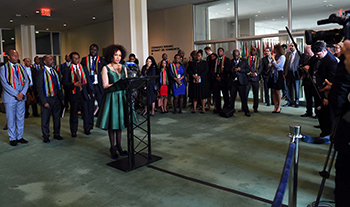 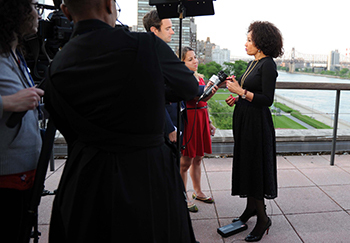 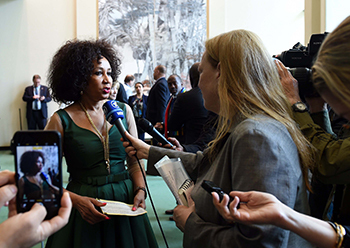 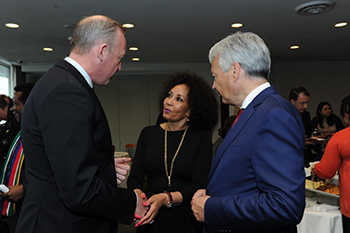 Preview Interviews by Minister Lindiwe Sisulu with Nick Harper of Feature Story News (reporting for SABC) and Nadia Neophytou of EWN, and DIRCO News Agency on the sidelines of Minister's reception on the occasion of the campaign for the non-permanent seat in the UN Security Council, New York USA, 7 June 2018. 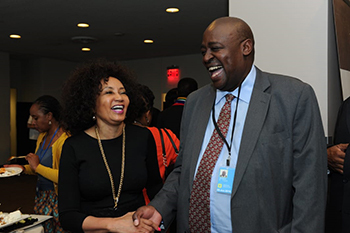 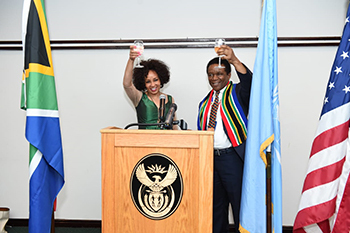 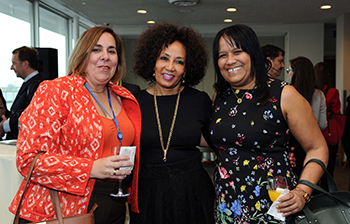 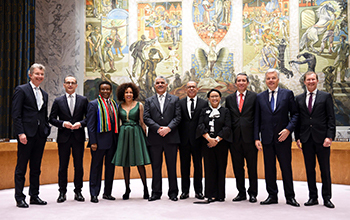 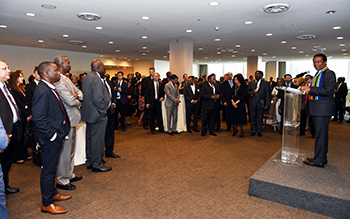 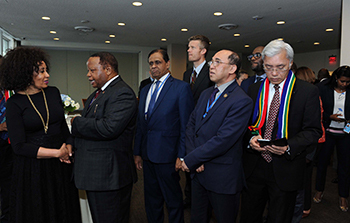 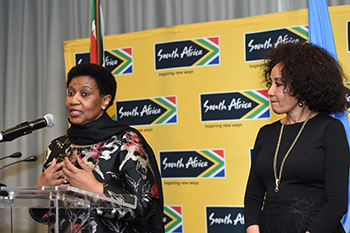 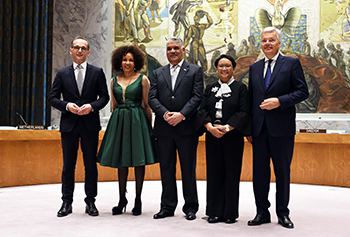 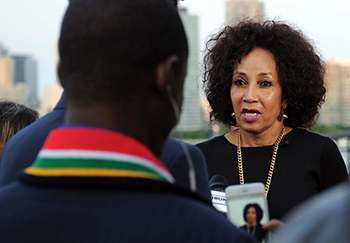 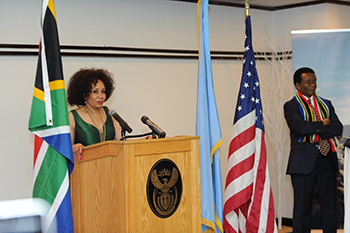 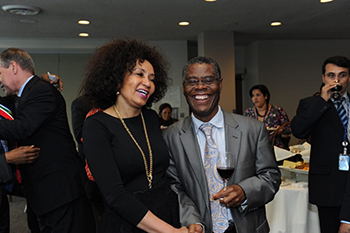 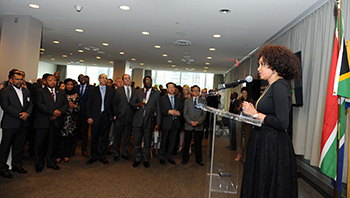 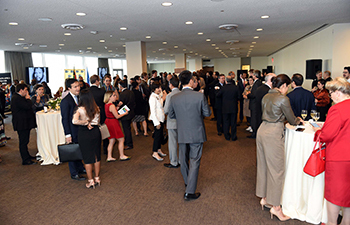 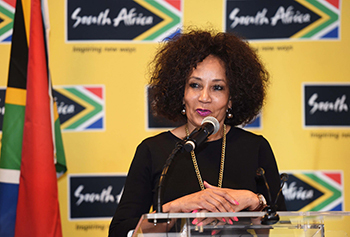 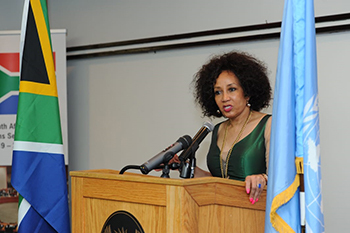 Minister Lindiwe Sisulu hosts a reception on the occasion of South Africa's campaign to the UN Security Council for the term 2019 - 2020, New York, USA, 7 June 2018. 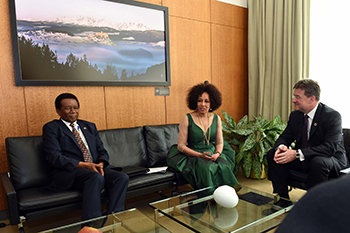 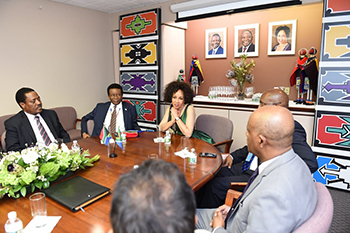 Minister Lindiwe Sisulu pays a Coutersy Call on the President of the UN General Assembly (PGA), Mr Miroslav Lajcak, Former Minister of Foreign Affairs of Slovakia, New York, USA, 8 June 20 2018. 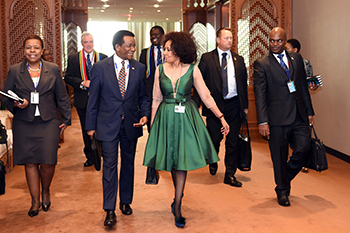 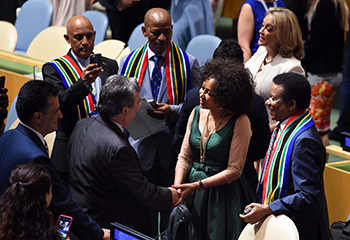 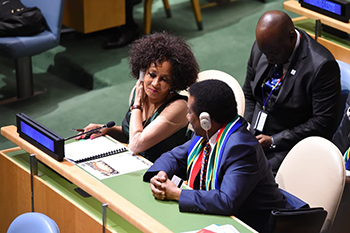 Minister Lindiwe Sisulu at the United Nations General Assembly Elections for the non-permanent seats in the Security Council, New York, USA, 8 June 2018. 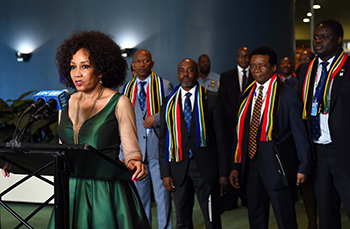 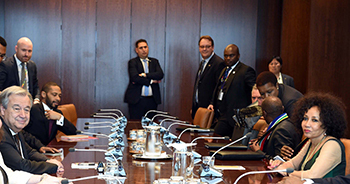 Briefing Remarks by Minister Lindiwe Sisulu on the outcome of the UNSC elections, New York, USA, 8 June 2018. 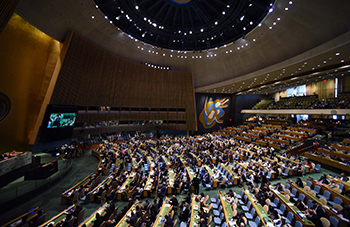 United Nations General Assembly elected five Non-permanent Members for two-year terms on the Security Council: Belgium, Dominican Republic, Germany, Indonesia and South Africa. 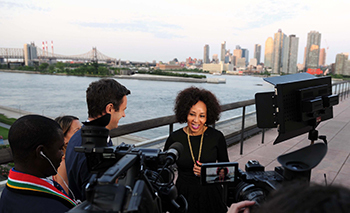 New York, USA, 8 June 2018. 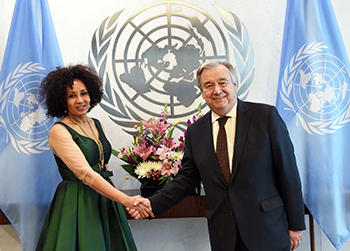 Minister Lindiwe Sisulu pays a Coutersy Call on the Secretary General of the United Nations, Mr Antoinio Guterres, New York, USA, 8 June 2018. 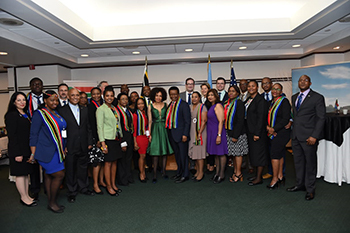 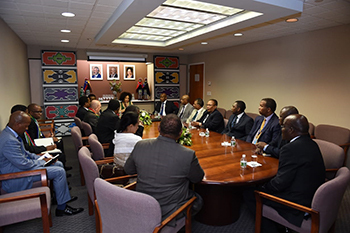 Minister Lindiwe Sisulu hosts a celebratory lunch with SADC Group, South African Delegation and Mission Staff, New York, USA, 8 June 2018.